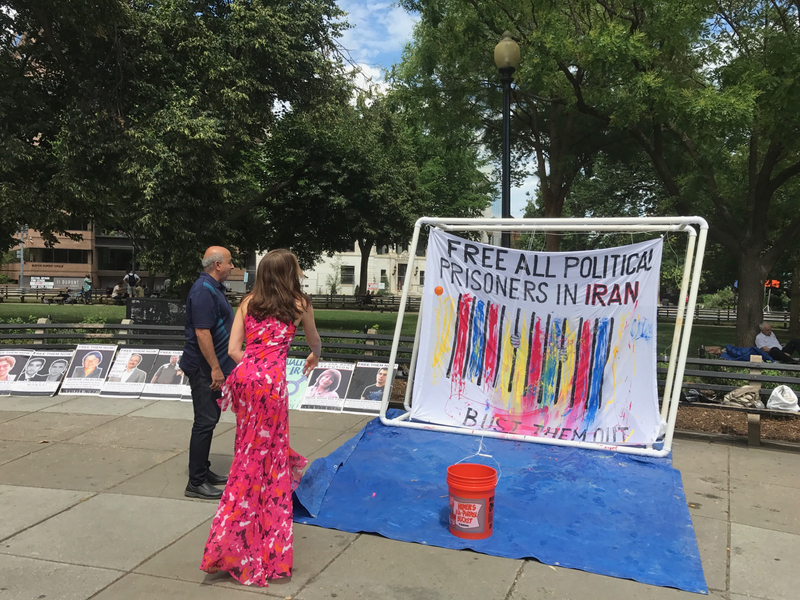 On 24 June 2017, activists in Washington DC gathered at DuPont Circle to recognize 20 June, the International Day in Support of Political Prisoners in Iran. 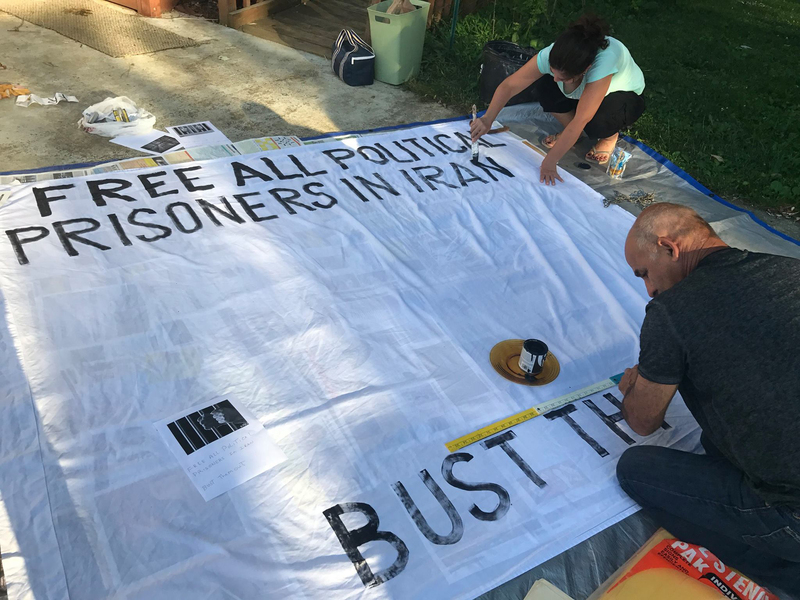 The activists had prepared a canvas representing the jail cells in which many political prisoners are consigned. 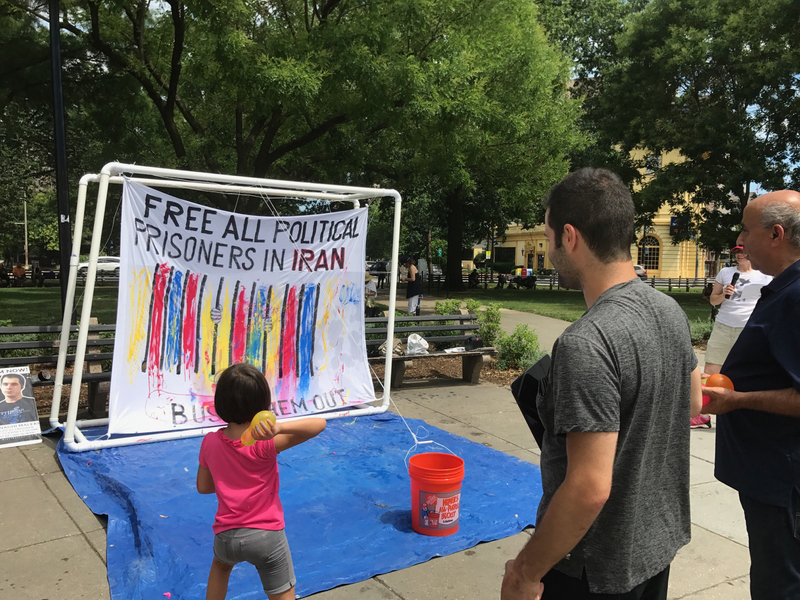 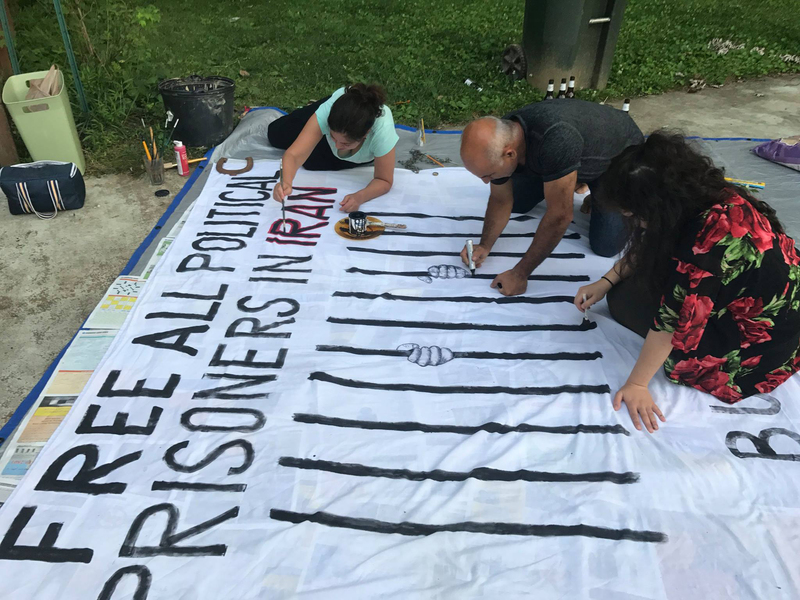 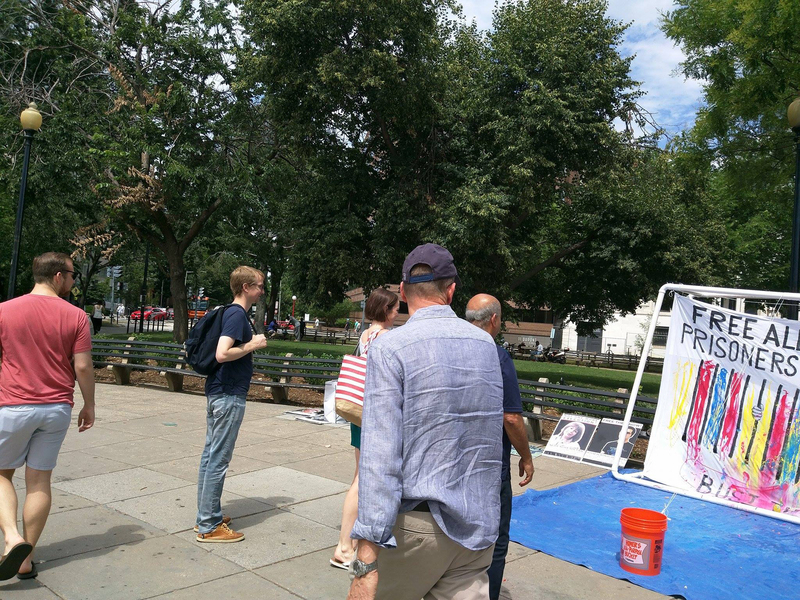 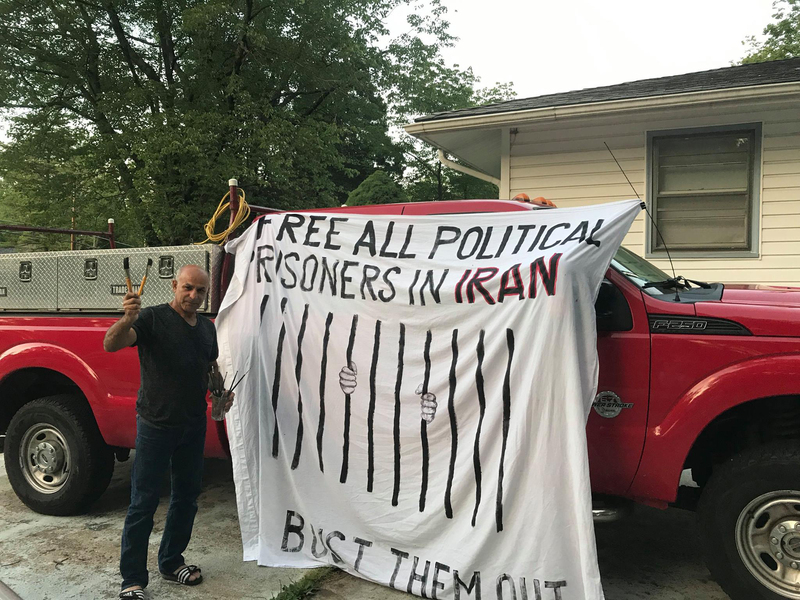 Passers-by were invited to learn about the situation of political prisoners in Iran, and then invited to toss water balloons at the “jail” in order to free all political prisoners now!